It’s amazing how a change of environment can affect a football player and the story of Sibi Gwar is a great example. 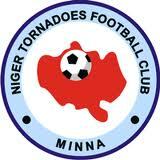 Yesterday, Gwar scored a brilliant hat-trick for Niger Tornadoes FC against the ambitious Heartland FC. Gwar joined Niger Tornadoes FC in April 2011 and his hat-trick means that he has now scored an amazing tally of six goals in the three matches he has played for his new club. Sibi Gwar started the season at Kwara United FC but failed to score and was pretty much a fringe player at the club. In March 2011, it was known that Gwar was available for transfer. This raised a few eyebrows, as Gwar was highly rewarded at the club. After the 2005-season, Gwar teamed up with Enyimba FC, the glamour club of Nigerian football. Gwar was pretty much a fringe player for Enyimba FC during the Nigeria Premier League 2006 but played some promising matches in the CAF Champions League 2006. Gwar made a better impression during the Nigeria Premier League 2007 and scored a couple of league goals. The whereabouts of Gwar during the Nigeria Premier League 2007-2008 are somewhat unclear. I believe he started the season at Lobi Stars FC (apparently a loan agreement), scoring two league goals according to my own statistics, before returning to Enyimba FC for the second half of the season. In 2008-2009, Gwar was back at Lobi Stars FC and scored three league goals in the Nigeria Premier League 2008-2009. Before the Nigeria Premier League 2009-2010, Gwar signed for Kwara United FC. He had a wonderful time in the Nigeria Premier League 2009-2010, scoring nine league goals and becoming one of the most important players at the club. In June 2010, Rodolfo Zapata, the former coach of Sunshine Stars FC, named Gwar in a list of players he thought should form the basis of the future Nigeria national football team. It was therefore somewhat surprising that Gwar failed to make an impression during the first half of the Nigeria Premier League 2010-2011. The transfer to Niger Tornadoes FC, based in Minna in west-central Nigeria, has proven to be a stroke of genius and the career of Gwar looks to be back on track. There seems to me some confusion regarding the age of Gwar. According to scouting and recruiting company “Voice of the Player”, Gwar is born 06.09.1987. The same date of birth was found on the former official homepage of Kwara United FC. According to Transfermarkt, Gwar is born 09.09.1988, while some other sources states that 09.09.1987 is the correct date of birth. A good picture of Gwar can be found in the brochure. Sibi Gwar is apparently 160 centimeters and 65 kilos, but I have found other sources suggesting he is taller. Gwar is comfortable as a center forward or as an attacking midfielder. He seems to be performing well when paired with a strong, burly striker who can create space for this tricky and exciting striker. thanks for your comment! Sorry about my late reply. I know both players thanks to this link: http://www.safa.net/UserFiles/www.safa.net/FOREIGN%20PLAYERS%20FOREIGN%20PLAYERS%20IN%20SA_%20(2).pdf – containing information about foreigners in South Africa. Besides this, I have never heard of Adekunle. Nwogbo played for Zamfara United FC in 2007-2008. He was part of the Nigeria U-20 national football team in 2008. He currently plays for Nathi Lions FC in South Africa. As he left Nigeria years ago, I have not collected stats about him. I only focus on players in Nigeria, Ghana, Ivory Coast, Cameroon and Senegal. I find this report is very interesting, and I use the information to complete his career. Pls, tell me about this young Nigerian player Olubamiro Akeem Adekunle, is he still playing in NPL? His former clubs were Crown FC in 2008 and Carara Kicks in South Africa in 2009. Also do you have some info about Chibuzor Aloysius Nwogbo? His former cub was Zamfara Utd. Pls, can you report sometimes about the transfers abroad, not only to Europe.